A new one-story, 14,000 sq. ft. Department of Veterans Affairs (VA) Outpatient Clinic will be built in central Silverdale, Washington to better service Kitsap County and surrounding area veterans. Veterans Plaza LLC was awarded the project with design by local Bremerton firm Rice Fergus Miller. Protection Engineering Consultants, based is proud to join the team as the Blast Specialist and Physical Security Specialist. 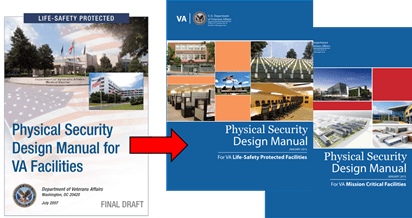 As the blast consultant, PEC will provide the team guidance on the physical security design of the site and facility to meet the 2015 Physical Security Design Manual (PSDM) (available for download here) requirements for life-safety protected facilities. We look forward to working with the Rice Fergus Miller design team on this project. Read more about the project on the KitsapSun website. Contact Aldo McKay, PE, PMP for more information on blast and physical security design of VA facilities. Not just a Blast Design firm: Protection Engineering Consultants provides comprehensive multi-hazard design.